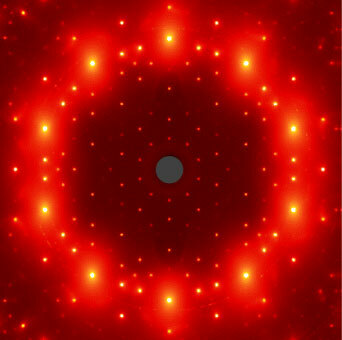 single grain of iodine-gadolinium-cadmium taken at Argonne National Laboratory’s powerful X-ray device, the Advanced Photon Source, with the beam parallel to the grain’s five-fold axis. Scientists can tell something about a material’s structure by the way it diffracts X-rays, with more powerful sources providing greater detail. If you’re not in the fields associated with these projects, you may not have heard of them. As with a lot of other Iowa science, they didn’t get a lot of attention here at home.